The total spend on medications in the U.S. grew to $310 billion in 2015 – up 8.5 percent from the last year, according to a new report from the IMS Institute for Healthcare Informatics. But it’s expected to double by 2020, to around $610 billion on an invoice price basis. Indeed, the growth rate is supposed to increase each year through 2020, the report says – thanks largely to drugs targeting cancer. 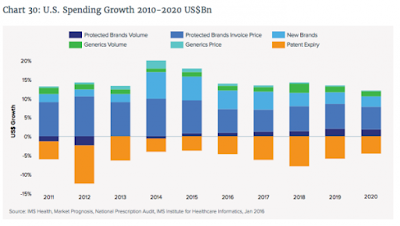 “Of the $282 billion of growth over the next five years from branded medicines, $91 billion is forecast to result from new medicines launched during that period, with the largest share coming from oncology,” the report says. The number of recently approved drugs buoyed the overall spend: Demand for new branded drugs was high. Generics didn’t help offset much of the costs typically spent on branded drugs, though higher rebates and price concessions from manufacturers helped offset these pressures on patients themselves. Tyrone's Comment: Last week I spoke with a large self-funded organization who was caught off guard by the rapid cost increases for prescription drugs in the last twenty-four months. The reason they were caught off guard can be explained by how they historically viewed prescription drug costs in the first place; and that is drug costs are "relatively inexpensive" compared to medical costs. This is true if looking solely at percentages and not whole numbers. $10 million is a lot of money but so is $1 million yet if I evaluate the difference by percentage $1 million is only 10% of $10 million. Since drug costs didn't garner nearly as much attention as medical costs, no one took the time to learn how to effectively manage pharmacy costs. 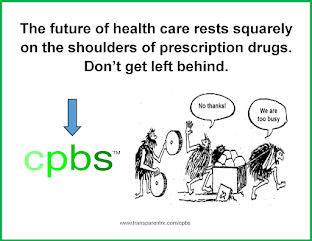 Consequently, PBMs profit greatly from this error and plan sponsors overpay. The key factor in mitigating rising pharmacy costs is strong [insider] PBM industry knowledge. There are a few major market segments at play here. 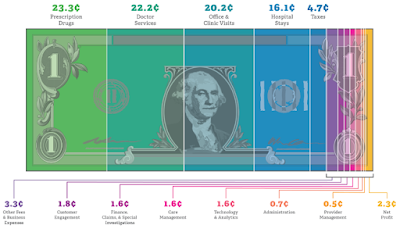 Specialty medicines proved to be a particularly strong influencer of growth – contributing nearly half, or $150.8 billion, to the medicine costs. And 43 new medicines were launched in 2015 – of which, about a third were orphan drugs. Another 30 brands were launched that weren’t necessarily novel, but served as combination therapies and alternative dosing that further filled the medication landscape. Advances in precision medicine and biosimilar development were also impactful. 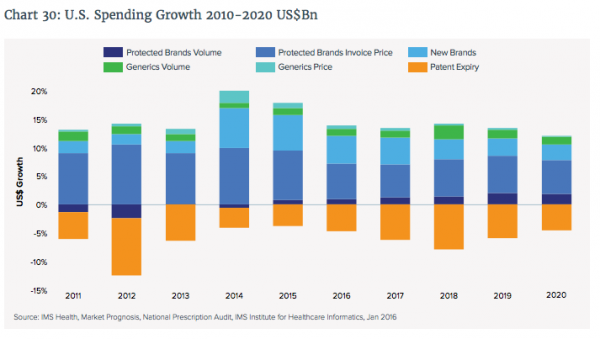 These trends will just continue, as more specialty drugs continue to hit the market.